I'm back! 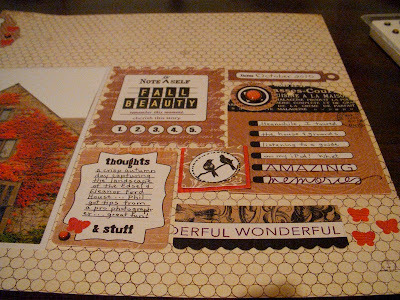 - with the August Challenge at Scrapbookers Anonymous: Journaling Blocks! As in, use up some of those leftover journaling blocks. Try incorporating them as a design element or use a bunch for journaling. I chose to do both on my layout and finished in four easy steps. Step #1: Started with a collage of Basic Grey Basics journaling pieces, tucking half of one in the upper LH corner to balance the page. Step #2: Added my 5x7 photo of the Edsel and Eleanor Ford House. We visited there last fall. Love that pop of orange! 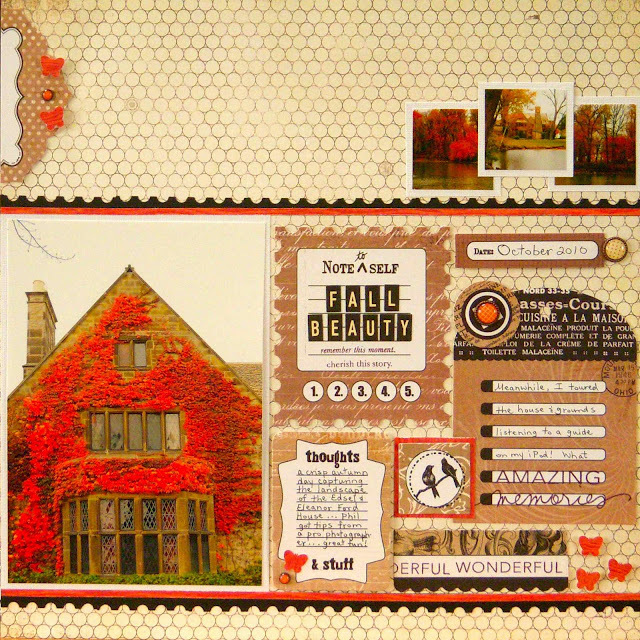 Step #3: Completed my journaling block collage with letter stickers, pens, stamps; then added some orange to tie the page together. Step #4: Added a thin punched border and used my handy square punch for a few close-ups. Voila, the completed layout! Slipped 8 more pictures into divided page protectors to finish documenting the event. While we were on the estate Phil got tips from a pro landscape photographer, while I roamed the house and grounds listening to a self-guided tour on my iPod. I remember it being a perfectly lovely day. Now it's your turn! You have until the end of the month to submit your layout. All the details are right here. Welcome back! What a beautiful, striking page that is. I really enjoyed letting my eye be guided round all the lovely elements which make such a satisfying whole. Love what you did with all those journaling blocks... great job! Love the vintage feel of your layout! Great job! That's *really* pretty. Well done! Very pretty layout! Love the vintage look. Sue - this is pure genius - gorgeous, gorgeous, gorgeous!! This is fantastic! I love how it turned out. 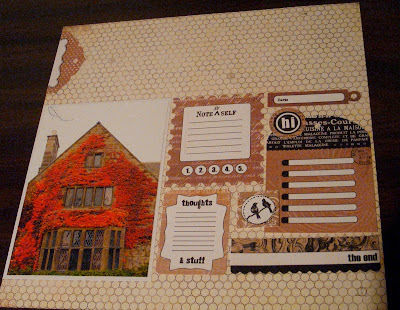 Great idea for getting more journaling block on the page. Adding this to my list of must-do layouts! 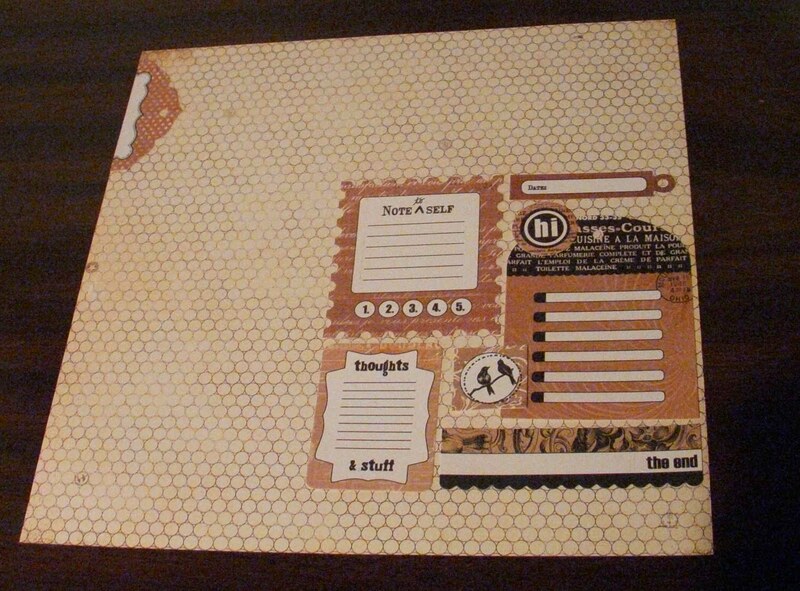 I created a project like that using leftover journal die-cuts as a mini-album for an upcoming blog hop! But I love how you did it on your layout!! What a great page! Love those tiny photos at the top. Clever use of the journaling cards. Fantastic page, with all the journalling blocks clustered together. Wonderful construction. Your design is simply stunning! 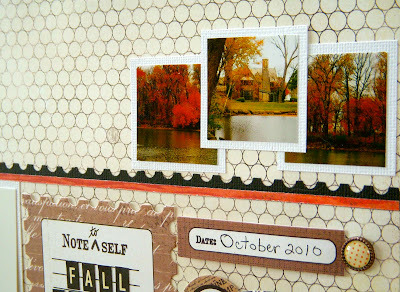 Love the journaling blocks! photos! and colors! Everything is perfect! Thanks for sharing your process with us! Glad that returned to blogging! Welcome back! Such a cool photo and love how you used the journaling spots!!! The little orange additions are perfect! A lovely layout Sue - I enjoyed seeing your step-by-step process! And that is a gorgeous photo. Sue this is just awesome! I love absolutely EVERYTHING about this layout! Amazing! Love how you used all the pieces and brought it all together. Have to try this for sure!